GOT QUESTIONS? | What Is Worth Learning? I love questions. Not like them. LOVE them. I’m interested and curious about everything! I asked myself, what should I blog about first? What do I want to share? What do I want to ask? Where should I start? I held my own Shakespearean soliloquy. To blog or not to blog that is the question! Then 154 questions later, I decided let’s start with questions! Questions are part of my genetic coding for certain. My mother reigns supreme as Queen of the Question. The epitome of a Renaissance (Wo)Man, she raised me to love embracing questions over answers; for “without questions there can be no discovery, no innovation, no solution, no breakthrough, and no learning” she would say. We would play “What If?” questions every day, (which to this day we still play). Often these would be safety related, you see my mother is also Queen of Safety Patrol, a fourth degree black belt, whose one of many successful companies was a security and self-defense company called For Your Protection. Thus naturally her protective, maternal nature was heightened to that on par with a Superhero-like vigilance. What if this, what if that situational questions dominated our days. I loved thinking and self-reflecting about these questions. Soon enough “What If’s” became the “How” game. How do you do this, how would you do that discovery/invention questions then prevailed. No matter who, what when, where or how, questions were fun, infinite, engaging and they led to knowledge and wisdom! I felt as if asking questions with her led us to vast pools of learning where we became curators of knowledge acquisition. Questions were our superhero capes of awesomeness! My first day of Kindergarten, I was the child with pigtails, lunchbox and bright, big, shining smile on my face, ready to “get her learn on!” While all of the kids around me were crying as their mothers dropped them off, I gave a hug and kiss to my mom, waved goodbye, and went to the task at hand- KNOWLEDGE ACQUISITION!!! I knew that school was a place to learn and seek knowledge, and with what did that start? We lose our child-like eyes, hearts and mind. Our thinking dispositions change as we became “adults”. We stop being curious! We stop being interested in the world around us, in the people around us. We stop asking questions which lead to more questions! We live in a current culture and time that largely values quantification of information over the intrinsic motivation to learn. Where learning has perceived value and importance only if a grade is received, where the purpose of school is consumed with testing no longer with learning, where the answers to a test have become more important than the questions inherent to learning. We, as a society, are so concerned with the “right” answers that we as a society breed trial and error inherent to questioning right out of our children, this squashing curiosity, innovation, growth and most importantly a deep love of learning. Questions lead to progress. 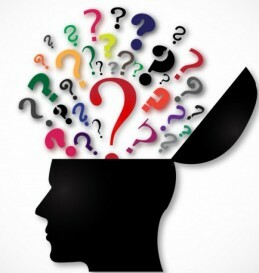 Questions lead to growth, change, self-awareness, invention, innovation, understanding. Questions are never final. Unlike answers, good questions are infinite, they lead to more and more questions. I firmly believe that asking good questions, meaning a question that leads to action, eliminates boredom completely. It is virtually impossible to be bored when asking good, awesome questions. What questions have you asked today? What were questions you asked as a child? What do you still want to discover? Know? Learn? What prevents you from asking these in your day? Have you asked your inner child questions about it? What if we changed our thinking dispositions, kept the doors of curiosity open, and a hand outstretched to help each other walk through? Would then our collective intelligence open doors to universal wisdom? How would our world change for the better if we all joined forces to ask actionable questions and then followed through? The most valuable learning and knowledge acquisition that you will ever find is not solely discovered in a classroom, a textbook, or a lecture. It is contained within you and the questions you chose to ask daily. So free yourself of answers and daily information delivery. Ask more. Answer Less. Then listen and discover. Unleash your curiosity and enjoy every, single, awesome minute of it!